I went to see Wall•E with my three year old (almost 4) on opening day. When we bought our tickets the girl handed us the commemorative piece of schwag you see just the the left. It is a piece of rigid board with a small watch made of inexpensive rubber attached. When she handed this I thought to myself that it was a cool little thing to give to a child and that someday it could be worth a lot of money if the Pixar team gave us another great experience. And they did. The movie was great. Essentially the story is R2-D2 gets a demotion and falls in love with an over sized trigger happy iPod. The bigger message was very clear; the planet is in deep trouble. Wall•E is the last remaining robot tasked with cleaning up the planet. After the movie was over I looked at the little piece of marketing we were handed in a completely different light. They had handed us the very trash that Wall•E was tasked with cleaning up. The paper stock the print was on is probably bio-degradable but the blue rubber banded watch will most likely outlive the Twinkies and the cockroach that were featured in the film. We have forever talked about truth in advertising. This is in reference to not saying anything to mislead the customer as to the capability of the product or service. Truth in marketing is something larger. It means that our actions as marketers are consistent with the product/service they embody. Google has seen trouble with its “Do no Evil” as they filter search results for Chinese users on behalf of the Chinese government and when Yahoo! turned in a Chinese journalist, they did in fact “do evil”. These types of dilemas are much more severe than a general lack of truth in marketing and yet they do however have the potential to impact the nature of the customer/marketer relationship. BMW is the latest corporation to attempt to deceive its customers with a mock documentary. It is hard to know how customers will respond to these types of tactics and is most likely more about the brand identity, than whether a campaign is misleading. As the Internet changes how users interact with a firm’s brand, it will become more difficult for marketers to maintain some semblance of control. One of the benefits of the Internet is its ability to expose a lie. And with transparency transforming customers into customer-partners the truth will be harder to escape with customers participating on behalf of collective consciousness of a business. 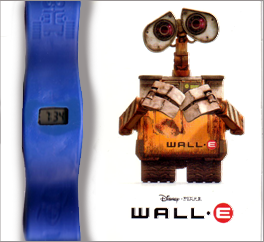 Based on this, we have to ask ourselves; what would Wall•E do? I think he would have discounted the ticket price when people brought in recyclables.